Extend downspouts away from the house at least 10 feet. Make sure they distribute away from and not towards the foundation. Managing your downspouts can be the first line of defense against water damage for your foundation. Make sure that they extend away from the foundation with drain tile to prevent roof water from running back towards the house. Clear your gutters on a regular basis to prevent overflow and to keep water moving efficiently. You can clear the drain tile by running a hose or power washer from the connection point. Years of mulching can create a buildup that goes above the waterproofing line. 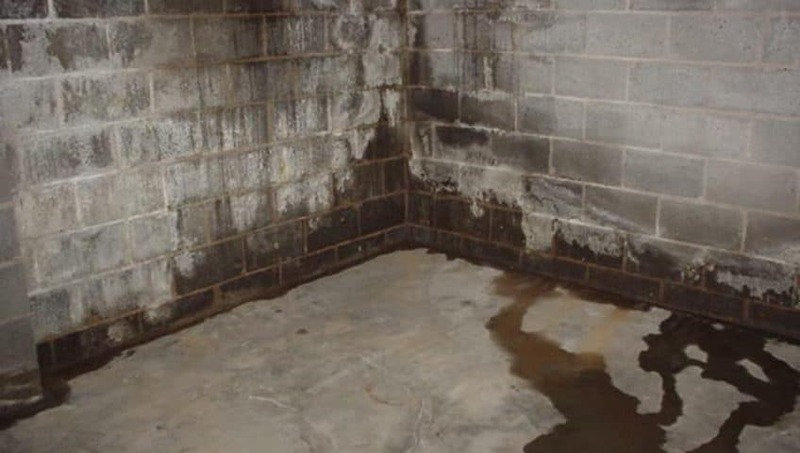 Water can then leach into the foundation causing dampness. If you do not have waterproofing and wet or damp basements are a problem, consider investing in a professional installation. Add soil (below the waterproofing line) to raise the grade so that the soil at the foundation is higher than the yard. Sometimes the soil around the foundation collapses or just erodes away due to poor drainage flow. By building up with soil thereby raising the grade, you prevent water from settling along the foundation where it can seep in. Redirect your sump pump like your downspouts. Sump pumps, if improperly managed, can simply create a cycle of water distribution. Water can be pumped out of the pump, into a poorly managed terrain which then drains the water back to the foundation where it seeps in and...needs to be pumped back out again. Manage it the same way you do the downspouts: extend with drain tile away from the house, ensuring that the flow does not re-direct itself back towards the house. Redirect natural flows with grading. In some cases, the water isn't coming from your house or from around your house, rather, it is just the lay of the land. You need to take a more serious look at how the water flows through your property when it is raining heavily. Watch where it comes from and where it goes to. It may be necessary to re-grade, to retain or just simply redirect the flows.